Summary of Content: Signed by Buffington at Tahlequah, Indian Territory, for the Cherokee Nation and approved by Roosevelt at Washington. "Executive Mansion" has been struck and "White House" typed-in. 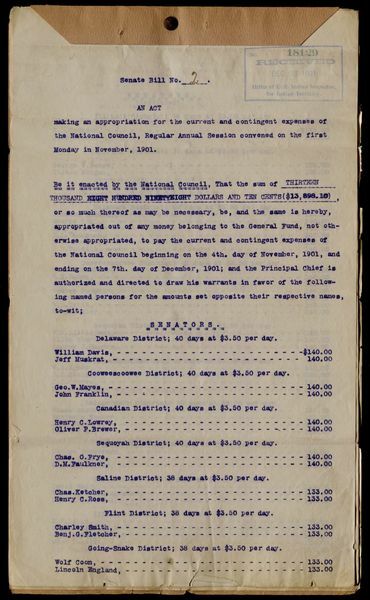 Approving Act of the Cherokee National Council for expenses.